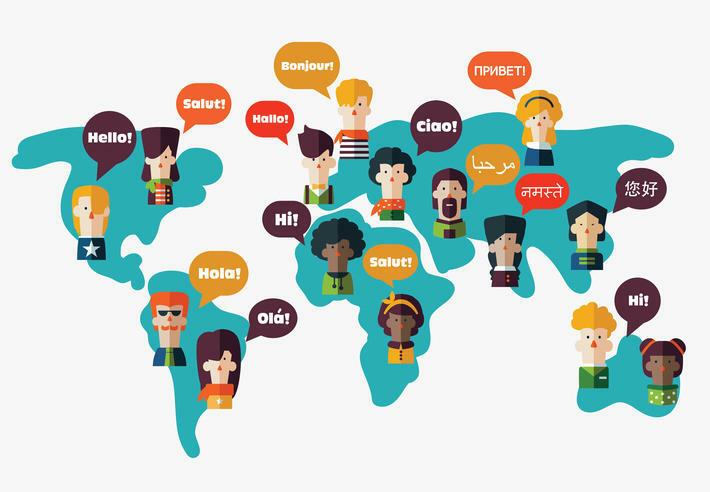 If you’re still looking for a worthy New Year’s resolution, how about learning a new language in 2019? Studies have shown that language learning can help you tune out distractions, become better at multitasking and even ward off dementia. HPR Reporter Kuʻuwehi Hiraishi has more. Learning a new language has some very practical benefits – it opens doors to employment opportunities, new social circles, and even travel. Kamil Deen, Chair of the Linguistics Department at UH Mānoa says learning another language also helps broaden our minds. The most widely-spoken languages in the world besides English are Mandarin Chinese, Spanish, Hindi, and Arabic. The most commonly studied languages in the United States besides English are Spanish and French, but that’s changing. Deen says American Sign Language is gaining in popularity. In fact, U-H has just started teaching it. “Turns out it is the fastest-growing foreign language in the United States and we just started offering it last year, and its growing really really fast. It’s very very popular,” says Deen. So which language should you choose? Deen says a widely-used language is a good idea, but not the only consideration. You should also consider the level of difficulty in learning a language. So you’ve chosen a language, now how do you make this New Year’s resolution stick? “First of all I’d say, don’t set your expectations too high,” says Deen. He says we all can’t be multilingual superstars and fluency takes time. But figuring out where you want to end up at the end of the year is important. Deen says the key is picking a language that you have a natural motivation to learn, and if you can find someone to interact with in that language, even better. New Zealand’s highest ranking Maori judge is visiting Hawai’i. Justice Joseph Williams is the first fluent Maori speaker to be appointed to the New Zealand Court of Appeals. His visit comes as Hawaiʻi grapples with its own issue of native language in the courtrooms. HPR’s Kuʻuwehi Hiraishi has more.